SEI recognizes certain user requirements may not be met with our standardized DC-UPSs. 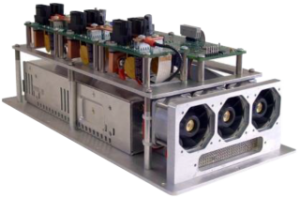 Our Custom Products Group engineers and develops power solutions, directed toward specific applications, user specified options, or to specific form-fit requirements. For additional information on Custom Power Products, call SEI at 301-694-9601, or email us using our Contact Us form. With the capability to design and package ancillary system components in custom enclosures, we can also rack and test the UPS and subsystems on the engineering floor prior to shipment. We can take a concept from design to prototype, and finish with full production. Please call to find out more about SEI’s Custom Product Engineering Services.